This is another way to make free calls over the internet. It is free but not unlimited. Even though, still you have enough time to call free and save something. To make a call, you have to download TuiTalk software into your mobile or PC. Steps to download and start calling is as follows. Create new account at TuiTalk. Click here to create new account. You will receive an email with a verification link, to the address you supplied when registering at Tuitalk. Click the link and you will directed to a page where the account password should be defined. Now the account creation process completed and you need to download Tuitalk software. Click here to download the software. If you are using a PC then download the software through 'Windows PC Download'. Once the download completed install it into your PC. Run the software and you will be prompted to log in. Enter Email address and password you have given when you register at Tuitalk and click Sign in. TuiTalk dialpad will pop up and just select the country flag where you want to call. Enter rest of the numbers except country code. When you click call, you have to watch an advertisement about 10 seconds. After that you will be automatically connected to the number you have dialed. Number of calls and call duration is varied from country to country. To learn more about calls and durations click here. GPS function through SatTracx service. We knowing that Google have a lot of products such as Google Reader,Picasa,Doc,Group etc and needed a Google account to access all this Google services.In fact , you no need a Google accountand can using your Yahoo,Hotmail or other email account to access most of the Google services .Are you believed ? 1.Visit create a Google account webpage,enter in your prefer email account,password,word verification and click ‘I accept.Create my Google account’ . 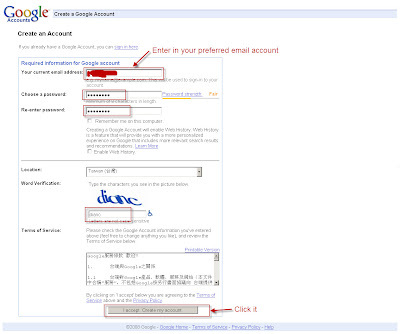 2.Then go to your email account to activate your Google account with click the link provided. 3..After activated Google account,go to Google products webpage trying the Google services ( i show you few example only,others you can try it by yourself ) . If you wanted close your Google account or delete Google services,go to Google edit service webpage.Enter in your email and password,then click ‘ close account and delete all services and info associated with it ‘. 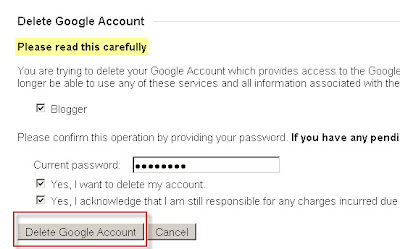 You can choose to stop some Google services or delete Google account. PS:After try all the Google services,Gmail need a registeraccount to access it,can’t use yourprefer email account . Nowadays we can find a lot of online services in internet that need ours email address to sign up as a account member then can use their service,maybe you will getting such as ten minutes destroy email or immediately destroy email to register this kind of online services,you may miss out the registerinformation after some days caused you are using different email address .Now you can use you email address to register these online service and will not disclosing your actual email,how ? Using Akapost. With Akapost,you can create a username@akapost.com and this akapost email will link to your actual email address,then you can using username@akapost to send out email,after that akapost server received the email will forwarding email to your personal mailbox. Put in simple word,using username@akapost.com as you email to register online services and your actual email will receiving all the register information.Then your actual email will kept in secret. How To identify Scam,Fake Or Real Email In Inbox ? There are some news about someone lost their money or sensitive personal information after read andclick the link contain in email.We curious how they can trust the email sender and already knows that ours email inbox always float with some fake,phishing or scam emails everyday,sometimes we can use our common sense to avoid this kind of email actually but most of us never think about that. It’s works with IE 6.0 / 7.0 / 8.0 and Firefox 3.0 / 3.5 / 3.6.A small iconix icon appear in your email inbox after sign in.You can edit the scan option by click the icon and it will scan and mark the email. Fed up with email newsletter or marketing email always float your email inbox and can’t findunsubscribe button to unsubscribe it ? Now you need a online service ‘Unsubscribe.com‘ to help you. Log in to email inbox.Remember change your email display language to ‘English’,then the unsubscribeicon will appear. Few days ago more than hundred thousand Gmail users found their message,email,chat log and contact already already reset and all data wiped out.To prevent Gmail outage happen again,you can use ‘Backupify’ to back up Gmail ,Google docs,Facebook,Twitter,Flickr and many others service.Backupify also offer from now until 11:59pm Eastern time on March 1, Backupify is giving away a free year of Backupify Pro 100 service to anybody who asks for it. 1.Visit https://www.backupify.com/signup to create a Backupify account.Choose ‘Pro 100′ account,enter in name,email,password and phone no,then key in savegmail in promo code column,click ‘Click Account’ icon. 2.When you first sign up, it will be under a free trial. Backupify will update this within 48 hours to free for 1 year. 3.Select the service that need to back up by click ‘Add’ beside the service,then you can start to backup data. Please act as soon as possible as you need a free service to backup your data. After my blog post ‘Free One Month UK / US Premium VPN Account’ published,some of the readers complained hard to get free hideipvpn VPN account caused the coupon code is for maximum 5 users only.Now you got the chance getting the free one month hideipvpn premium account from WongSK Blog,totally 20 premium account will giveaways. Each premium account is price $5.99 USD monthly from Hideipvpn.Thanks for Hideipvpn sponsorship for giving 20 UK / US premium VPN account ( one month ) to WongSK Blog readers. You no need subscribe to WongSK Blog,just post a comment with reason why you need Hideipvpn premium VPN account ,don’t forgot with a valid email address. Since this is wongSK blog first time to do this kind of giveaway and don’t know how the response from the readers,this giveaway will open for three days ( 28/10/09 ~ 30/10/09 ),the 20 winners will select randomly and published the result on 31/10/09. 2.Click ‘Next to Step 3′ to key in your username and password for VPN account.Then click ‘Create Account’ icon. While computer security software's like anti-virus and anti-malware provide an effective solution to known threats being pro-active and blocking threats in the first place is the best approach for complete security, sandboxing has been a very practical solution for pro-active security and leading anti-virus software's like Kaspersky already features such functionality. Now users can enjoy professional grade sandbox protection for free thanks to BufferZone Pro (now freeware) from Trustware, BufferZone works by creating an isolated "sandboxed" environment called the Virtual Zone which basically "buffers" your PC from all security threats whether known or unknown keeping your private information secured in a trusted and separated environment. BufferZone Technology allows you to surf anywhere, download anything, open e-mail attachments, share & chat with your friends and colleagues and e-bank with no fear or risk of infecting your PC with viruses, Trojan Horses, spyware, worms, keyloggers or other malicious programs. Need optimize your PC performance ? Now you can get SpeedUpMyPC 2011 license key with free. SpeedUpMyPC 2011 enables you to optimize and clean your PC. It scans your computer and suggests potential performance improvements based on invalid registry entries, junk files, Internet settings,also offers to clean-up Internet and PC usage tracks. Visit http://mag.uniblue.com/stores/sp/signup/,enter in name and email address,then click submit.The SpeedUpMyPC 2011 license key contained inside email. Download SpeedUpMyPC 2011.Click ‘Register now’ in software interface and key in the license key that obtain from the email,then SpeedUpMyPC 2011 will unlock and become full version. I always advised my Chinese friends who use Kaspersky security software change using Kaspersky Chinese simplified version cause we can always getting free Kaspersky license key from China without using ours pocket money to buy it.Now a Chinese online game ‘三国杀OL’ having free giveawayKaspersky Internet Security 2011 (KIS 2011) one year license key.Those who known Chinese can follow below step getting free KIS 2011 license key. 1.You need KIS 2011 Chinese simplified version and can’t apply to others KIS 2011 language version. 2.This KIS 2011 license key must apply and activate within one hour. 3.Your IP address must come from China region. If run KIS 2011 software in your Windows OS ( default language is English ),you find that the character will showing ‘û’ or ‘?’ error code.Here i show you how to make KIS 2011 Chinese simplified version show perfectly without any error code. Select ‘Chinese (Simplified,PRC)’ in system locale and ‘OK’. Then Kaspersky Chinese version can show perfectly and no error code in Windows OS. How to obtain free KIS 2011 Chinese Simplified version license key ? Enter in username,password and email address as below. Then go to register email inbox,click activation link sending by 17173.com and a web page showingyour account already activate.Your username will become your username@17173.com . Then go back to register account web page,enter in username and password,click ‘登录’ (sign in). Scroll down the web page after sign in and find ‘三国杀OL’.then click ‘点击领取’ blue color icon to receive KIS 2011 license key. The web page will show as below,then click green color icon to receive KIS license key. Now you getting KIS 2011 Chinese simplified version license key and have to activate within one hour with China IP address.We not from china region then have to use China VPN service activate KIS 2011license key. LoveVPN is a VPN service from China that can provide VPN from China.You can use their free VPN service (their free VPN service limit to four hours duration only).Go to here key in email address,code and download the VPN client software.The username and password will state in email provide by LoveVPN. Install the VPN software client and log in username and password,then select China region and connect. Now start to install KIS 2011 software and enter in the license key,you can use it with free for one year.